Athletic Revolution is a youth sports and fitness facility. We work with kids 8-13 and 14+, working on skills from athletics like strength, speed, coordination, agility to nutrition to building life skills and improving their self-esteem and confidence. Athletic Revolution provides your young superstar with an amazing program focusing on building them from the ground up. 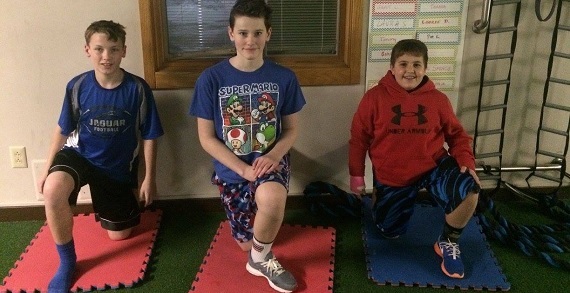 We develop complete athletes and human beings, the champions of tomorrow, in our program using a method that your kids are guaranteed to enjoy. We want all of our kids to reach their full potential, no matter where they start. Whether they are an athlete or just trying to lose weight to regain their self confidence, it doesn't matter AR is the place to be!